Before purchasing any watch, look at some important things like watch brand, quality, performance and look. These things make a watch appreciable and priceless. 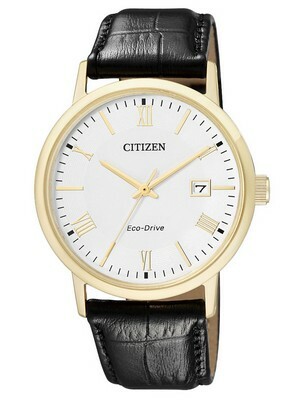 This eco-drive watch is taken from the citizen collection, citizen eco-drive watches is world famous timepieces. The case of this eco-drive citizen watch is made up of stainless steel and the band of this watch made up of calf leather. This Citizenwatch is made in Japan; eco-drive technology is used while making this watch. Eco-drive timepieces are environment friendly watches because they do not produce noise. This Citizen Eco-Drive Watch has an ability to store enough power in it up to 12 month. The working caliber of this watch is E111. The face of this watch is coated with sapphire glass; it is more scratch tolerant glass. The face of this watch is perfectly finished and the back of this watch also impressed with inside mechanism. This watch has white dial, attractive hands and numerals are beautifully placed. A separate window is given for looking date near at the three 0’clock. The insufficient charge warning function and the overcharging prevention function of this Ecodrive Watch will alert you when the watch being fully charge or insufficient charge. The Case diameter of this watch is 37mm. If you are looking a beautiful watch then you should definitely consider this citizen eco-drive watch. Designer of citizen given a classy, sophisticated look to this watch so this watch may be the prime choice for official person’s. This watch is available for US $108.00 with us. Newsletter: Seiko 5 Automatic SNZG Series Watches On Sale – Coupon Code Inside!! 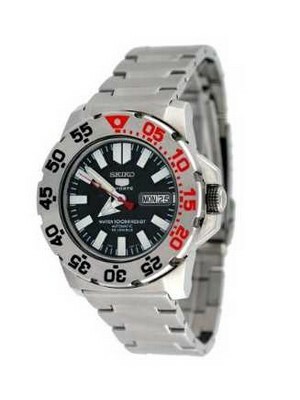 Newsletter : New Seiko Divers Neo Monster / Stargate Watches on Sale! Newsletter : Mother’s Day Sale: Up to 60% Off on 50 Women’s Watches – Coupon code inside!